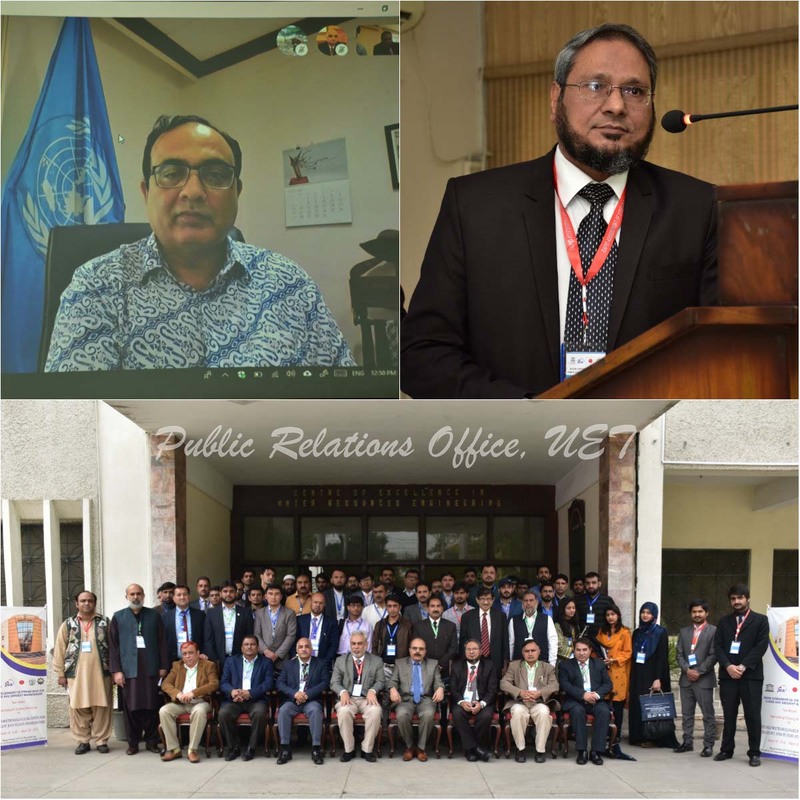 Center of Excellence in Water Resource Engineering (CEWRE) University of Engineering and Technology (UET) Lahore organized two weeks “International Training Workshop on Hydro-meteorological Data for Drought and Flood Forecasting” under the project of Pakistan Government (funded by the Government of Japan through UNESCO to strengthen the flood and drought efforts of Pakistan) on “Rapid Assessment of Stream Data for Flood and Drought Management”. The purpose of this workshop was to enhance the capacity of junior and middle level scientists, executives, engineers, hydrologists and other technical staff of the leading institutions of Pakistan in the measurement of meteorological parameters, stream discharge measurement with ADCP and latest methods and techniques for Drought management and Food Forecasting. In this context Department of Civil Engineering organized an international seminar on Rapid Assessment of Stream Data for Flood and Drought Management. This seminar was consisting of 3 sessions. In the first session Vice Chancellor UET Prof. Dr. Aziz Akbar gave a welcome address. Chairman Civil Engineering Department Prof. Dr. Habib-Ur-Rehman delivered a lecture on “Rationale of International Seminar and Contribution of UET in Flood Forecasting and Capacity Building” and Associate Professor from Wuhan University China Dr. Guan Guanghua discussed “Flow Measurement for Open Channel System”. The second session started with a lecture delivered by Assistant Professor Dr. Muhammad Asim from City & Regional Planning Department on “Drought and Flood Disaster Management”, Director Hydrology PCRWR Dr. Manzoor Ahmed Malik discussed “Experiences of Discharge Measurements using Acoustic Doppler Current Profile (ADCP)” and General Design Manager Suki Kinari HPP Mr. Yu Yang delivered a lecture on “Hydropower Development at Suki Kinari Project”. After the second session a question answer session was also arranged. 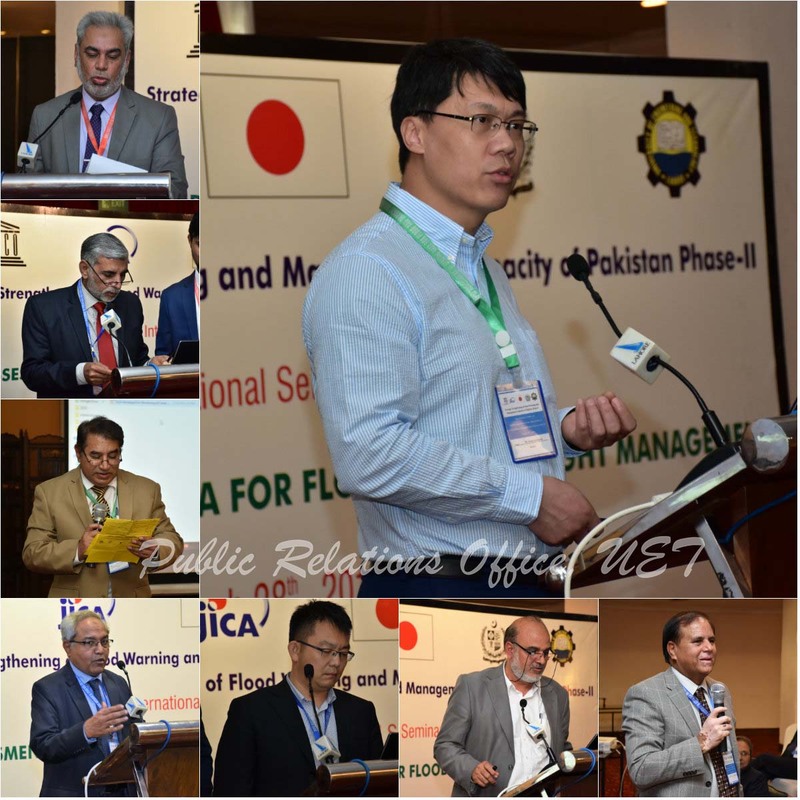 In the third session Mr. Sahib Zad Director FFD and PMD Lahore highlighted “Flood Forecasting Techniques in Pakistan”, Engr. 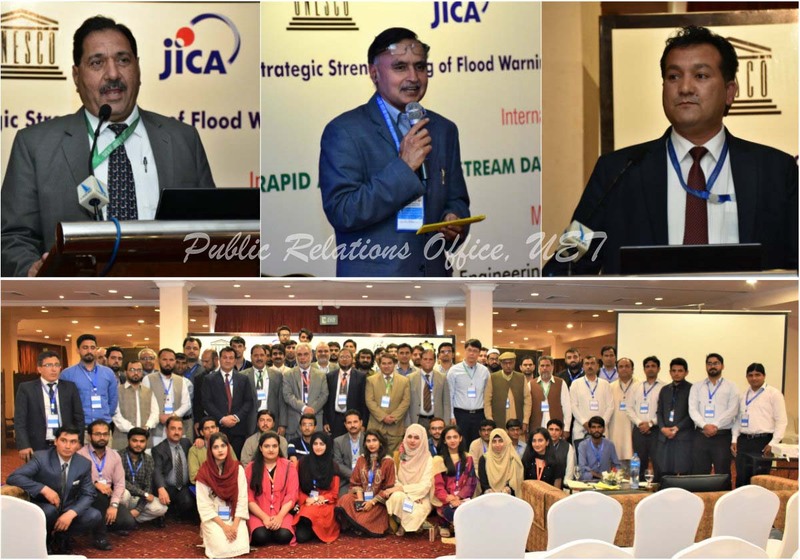 Shahid Hamid from WRM WAPDA discussed “Experience of WAPDA for Discharge measurement using ADCP” and Director Monitoring Punjab Irrigation Department Dr. Muhammad Riaz shed light on “Tools Developed for Monitoring of Canal Operations”. At the closing ceremony of this workshop Vice Chancellor Prof. Dr. Aziz Akbar distributed souvenirs and shields among dignitaries, presenters and guest speakers.